Regardless of our age & lifestyle, the urge to 'snack' is strong - but it can be done healthily. For my littlest clients, back-to-school time means school drop-off times and racing from school to sport practice. For their parents, it means thinking about healthy snacks on the run, dealing with fussy eating and not knowing exactly what to put in the lunchbox. For my bigger clients, it’s also a time when they want to try to eat well now that they’re back at work. Others are learning to juggle study, work and training, all while fending for themselves as they move out of home for the first time. Whether little or big, snacking often gets the most attention when questioning what is healthy. The need for snacking, like all things nutrition, is very individual. Active kids will certainly need snacks to fuel them through their busy days. However, for adults, I can’t give you a black and white answer to this question. Healthy snacking can provide some brainpower, a healthy nutrient and energy boost (think about that 4pm slump) and stop you from facing your next meal with 10 out of 10 hunger levels (indirectly helping to manage healthy portions). This is a major plus for snacking. On the other hand, snacking when you are not hungry, or for the sake of your usual routine may lead to undesirable weight changes – some people are just made for the three-square-meal-a-day approach to eating. 1. Listen to your body’s hunger cues. Do you have real signs of hunger between meals suggesting a satiating snack is required? Mixed with plenty of vegetables. When searching for the perfect snack, think about untouched (aka minimally processed), real food. It should be nourishing, and when lined up with common snack foods, win the race for satisfying hunger and stabilising energy levels – the decision might be between a chocolate bar versus some Greek yoghurt with berries. Whether preparing snacks for kids or adults, make them interesting and fun – this will get the fussiest eater to show a bit of interest. It’s also good to get your kids involved in the preparation process. This will make them proud to eat it (without the fuss). Let’s take a look at how we can use our core food groups in an appealing way to minimise the number of packaged or processed snacks for kids and adults. Not only will this help to improve your family’s health, but reduce your carbon footprint. 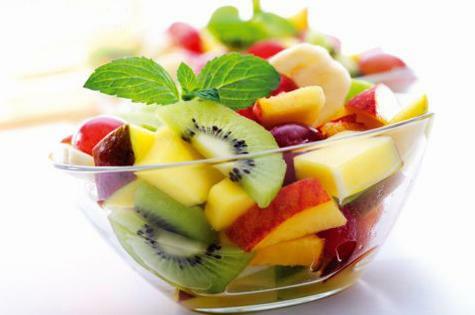 Stock frozen fruit ready to blend with milk or mix with nuts and natural yoghurt. Thread some fun shaped pieces of fruit onto skewers. Keep small containers of roasted or spiced (but not salted) nuts and seeds. Mix nuts and seeds with small portions of dried apricots and cubes of cheese. Make no-bake (no fuss) homemade muesli bars by combing a variety of seeds with rolled oats, coconut, dates and dried apricots. Make some mini muffin sized vegetable frittatas for a fun lunchbox or office treat. Hard-boil some eggs for a naturally wrapped nutrient boost. Make some corn and vegetable fritters. Fill up on some tinned beans. Roast and spice some chickpeas for that desired crunchy snack. Mix some bocconcini cheese with some cherry tomatoes and basil in a small container. Freeze natural or flavoured Greek yoghurt tubs for the perfect lunch box snack. Top wholegrain bread, rice cakes or crisp bread with cottage cheese and apple. Roast some beets and whizz to make a nourishing dip. Chop up some veggies and serve with hummus or another nourishing dip. Make some celery boats filled with nut butter or ricotta and sprinkled with sultanas or sesame seeds. Healthy isn’t just the food that we choose but the way that we choose to eat it. Eating while watching TV, checking your emails or eating while on the run are all habits that lead to mindless eating. This can make us eat more than we need, lead to those undesirable weight changes and may prompt us to eat less nourishing foods. Instead, STOP and eat your snacks mindfully. Take your allocated time to eat, take a 15-minute study break and encourage your kids to take snack time away from the TV and other side-trackers (this of course may not be possible for those kids travelling from school to sport). This will help you to make the most of each mouthful, savour the flavour and listen to your body’s changing hunger signals. For more nutrition advice, follow Kerryn Boogaard Nutrition on Instagram or visit her Facebook page.